Product categories of Clutch Auto Parts, we are specialized manufacturers from China, Clutch Auto Parts, Clutch Kit suppliers/factory, wholesale high-quality products of Clutch Parts R & D and manufacturing, we have the perfect after-sales service and technical support. Look forward to your cooperation! 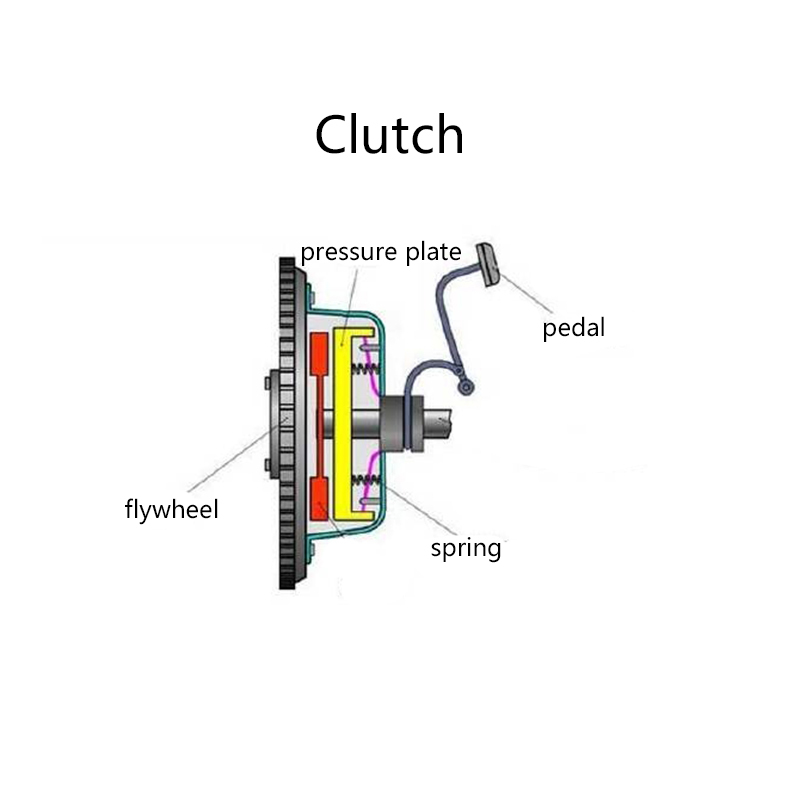 Clutch Auto Parts refers to the separation device between Car Engine and gearbox, also called clutch. The clutch of the automatic car is integrated into the gearbox to realize Automatic Transmission. (1) ensure that the maximum torque transmitted by the engine can be transmitted, and there is also a certain torque transfer torque. (2) when it is separated, it can be completely separated and soft when it joins and has good heat dissipation capability. (3) the moment of inertia of the driven part is as small as possible. In this way, when the clutch is shifted, the rotational speed of the part connected with the input shaft of the transmission parts is easy to change, thus reducing the impact between the gears. (4) it has the ability to mitigate the impact of the rotation direction and attenuate the vibration in this direction, and the noise is small. (5) the pressure coefficient of the platen and the friction coefficient of the friction plate change little, and the work is stable. (6) easy operation and maintenance.